Episode 2: The King & I - A Reel Education: The Musical! Listeners: We apologize for the sound quality on this episode. The quality does improve as the episode goes on. calves) and Deborah Kerr (and her gowns!). Neither Vinnie nor Mike had ever seen the movie version, with its lavish sets and even more lavish costumes. More stunning than either of those is the chemistry between our two stars. Bonus gorgeous: Rita Moreno! 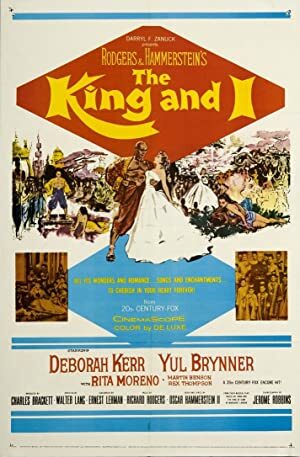 This movie demonstrates the emotional depths that a musical can achieve, with the psychological crisis of Yul’s King being the central conflict. 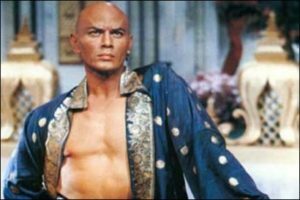 Yul Brynner owned this role so completely, he would play it for the rest of his life, even while dying of cancer. Add in Jerome Robbins’ choreography – particularly the iconic “The Small House of Uncle Thomas” – and it’s easy to understand the enduring love for this movie. Let’s continue “Getting to Know You,” listeners, by hopping (one-footed) on into THE KING AND I. Plot: A widow accepts a job as a live-in governess to the King of Siam's children.